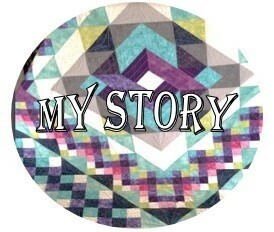 I started sewing when I was fairly young and have sewn ever since. I made many different projects during my years of 4-H. 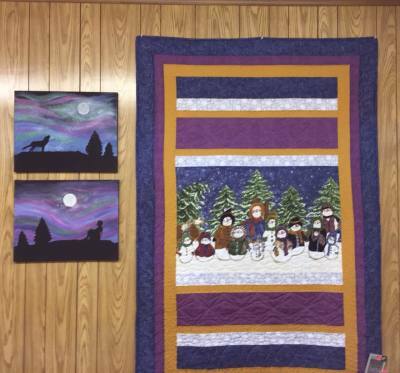 In my adult life I was blessed with three sons and when they were younger and growing, I didn’t see as much time with the sewing machine as they kept me busy. 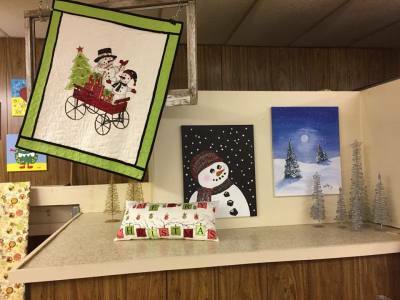 In our small NE Iowa town of New Hampton, we had a quilt shop, Material Magic, that was closing as they had sold the building. They had been in existence for a total of 32 years -- with two different families that owned this business. 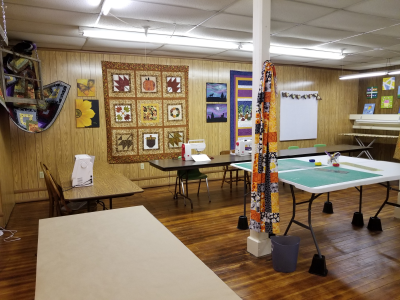 I was encouraged by my sons and daughters-in-law to buyout this business and start in new venture in my life of owning a quilt shop. I was happy that they saw my passion for sewing but I wasn’t so sure that I wanted to take on this venture. I had hesitation when they suggested this to me and actually dismissed the idea the first time! As we all know, after today is over another day is around the corner. Well, “that day” came and I went into talk with the ladies at Material Magic. 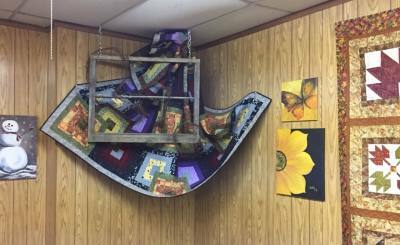 Forty-five minutes later I walked out of the quilt shop with LOTS of thoughts going through my mind and ten, yes, TEN WEEKS later on September 1, 2017, Addicted 2 Stitchin’ opened for business! There were many actions that needed to be taken and I can’t thank my volunteer pool enough for all that they did in helping get my storefront ready. Our friends and family would come in and ask what I needed/wanted to get accomplished and, of course, I had a list. I would explain to them what was needed and then say, “If you need anything call me” as I was picking out paint colors, meeting with sales reps, establishing a business name, and the list goes on.